Dr. Mashallah Rezakazemi received his BSc. and MSc. degrees in 2009 and 2011, respectively, both in Chemical Engineering, from the Iran University of Science and Technology (IUST), and his Ph.D. from the University of Tehran (UT) in 2015. In his first appointment, Rezakazemi has been served as professor of the Faculty of Chemical and Materials Engineering at the Shahrood University of Technology since 2016. Dr. Rezakazemi’s research is in the general area of the water-energy nexus, CO2 capture, gas separation, desalination, to the service of the broad areas of learning and training. Specifically, his research in engineered and natural environmental systems involves: (i) membrane-based processes for energy-efficient desalination, CO2 capture, gas separation, and wastewater reuse, (ii) sustainable production of riched gas stream, water and energy generation with the engineered membrane, (iii) environmental applications and implications of nanomaterials, and (iv) water and sanitation in developing countries. Dr. Rezakazemi has coauthored numerous highly cited journal publications, conference articles and book chapters at the interface of several disciplines, including nanotechnology, materials science, water technology, gas separations processes, transport phenomena, polymer science, environmental engineering, and CFD simulation. Dr. Rezakazemi has received major awards and grants from various funding agencies in recognition of his research. Notable among these is the Khwarizmi Youth Award from the Iranian Research Organization for Science and Technology (IROST) in 2012. •	Basic and Advanced Membrane Separation Processes. •	Carbon Capture technologies (CCS). Top 25 Hottest Articles at Progress in Polymer Science (January to March 2014). Top 25 Hottest Articles at Progress in Polymer Science (April to June 2014). 1)M. Rezakazemi, M. Shahverdi, S. Shirazian, T. Mohammadi, A. Pak, CFD simulation of water removal from water/ethylene glycol mixtures by pervaporation, Chemical Engineering Journal, 168, 1 (2011) 60-67, DOI:10.1016/j.cej.2010.12.034. 2)M. Rezakazemi, Z. Niazi, M. Mirfendereski, S. Shirazian, T. Mohammadi, A. Pak, CFD simulation of natural gas sweetening in a gas-liquid hollow-fiber membrane contactor, Chemical Engineering Journal, 168, 3 (2011) 1217-1226, DOI:10.1016/j.cej.2011.02.019. 3)M. Rezakazemi, Z. Niazi, M. Mirfendereski, S. Shirazian, T. Mohammadi, A. Pak, CFD simulation of natural gas sweetening in a gas-liquid hollow-fiber membrane contactor, Chemical Engineering Journal, 168, 3 (2011) 1217-1226, DOI:10.1016/j.cej.2011.02.019. 4)M. Rezakazemi, S. Shirazian, S.N. Ashrafizadeh, Simulation of ammonia removal from industrial wastewater streams by means of a hollow-fiber membrane contactor, Desalination, 285 (2012) 383-392, DOI:10.1016/j.desal.2011.10.030. 5)F. Hashemi, S. Rowshanzamir, M. Rezakazemi, CFD simulation of PEM fuel cell performance: Effect of straight and serpentine flow fields, Mathematical and Computer Modelling, 55, 3-4 (2012) 1540-1557, DOI:10.1016/j.mcm.2011.10.047. 6)S. Shirazian, M. Rezakazemi, A. Marjani, S. Moradi, Hydrodynamics and mass transfer simulation of wastewater treatment in membrane contactor, Desalination, 286 (2012), 290–295, DOI:10.1016/j.desal.2011.11.039. 7)S. Shirazian, A. Marjani, M. Rezakazemi, Separation of CO2 by single and mixed aqueous amine solvents in membrane contactors: Fluid flow and mass transfer modeling, Engineering with Computers, 28, 2 (2012) 189-198, DOI: 10.1007/s00366-011-0237-7. 8)S. Shirazian, M. Pishnamazi, M. Rezakazemi, A. Nouri, M. Jafari, S. Noroozi, A. Marjani, Implementation of finite element method for simulation of mass transfer in membrane contactors, Chemical Engineering and Technology, 35, 6 (2012) 1077-1084, DOI: 10.1002/ceat.201100397. 9)M. Rezakazemi, K. Shahidi, T. Mohammadi, Hydrogen separation and purification using crosslinkable PDMS/zeolite nanoparticle A mixed matrix membranes, International Journal of Hydrogen Energy, 37, 19 (2012)14576-14589, DOI:10.1016/j.ijhydene.2012.06.104. 10)M. Rezakazemi, K. Shahidi, T. Mohammadi, Sorption properties of hydrogen-selective PDMS/zeolite 4A mixed matrix membrane, International Journal of Hydrogen Energy, 37, 22 (2012) 17275-17284, DOI:10.1016/j.ijhydene.2012.08.109. 11)S. Shirazian, M. Rezakazemi, A. Marjani, M.S. Rafivahid, Development of a mass transfer model for simulation of sulfur dioxide removal in ceramic membrane contactors, Asia-Pacific Journal of Chemical Engineering, 7, 6 (2012) 828–834, DOI: 10.1002/apj.641. 12)M. Fasihi, S. Shirazian, A. Marjani, M. Rezakazemi, Computational fluid dynamics simulation of transport phenomena in ceramic membranes for SO2 separation, Mathematical and Computer Modelling, 56, 11-12 (2012) 278-286, DOI:10.1016/j.mcm.2012.01.010. 13)M. Rostamizadeh, M. Rezakazemi, K. Shahidi, T. Mohammadi, Gas permeation through H2-selective mixed matrix membranes: Experimental and neural network modeling, International Journal of Hydrogen Energy, 38, 2 (2013) 1128-1135. DOI:10.1016/j.ijhydene.2012.10.069. 14)M. Rezakazemi, S. Shirazian, A. Marjani, Development of a group contribution method based on UNIFAC groups for estimation of vapor pressure of pure hydrocarbon compounds, Chemical Engineering and Technology, 36, 3 (2013) 483–491, DOI: 10.1002/ceat.201200422. 15)M. Rezakazemi, A. Ghafarinazari, S. Shirazian, A. Khoshsima, Numerical modeling and optimization of wastewater treatment using porous polymeric membranes, Polymer Engineering and Science, 53, 6 (2013) 1272-1278, DOI: 10.1002/pen.23375. 16)M. Shahverdi, B. Baheri, M. Rezakazemi, E. Motaee, T. Mohammadi, Pervaporation study of ethylene glycol dehydration through synthesized (PVA-4A)/polypropylene mixed matrix composite membranes, Polymer Engineering and Science, 53, 7 (2013) 1487–1493, DOI: 10.1002/pen.23406. 17)M. Rezakazemi, M. Iravaninia, S. Shirazian, T. Mohammadi, Transient Computational Fluid Dynamics (CFD) Modeling of Pervaporation Separation of Aromatic/Aliphatic Hydrocarbon Mixtures Using Polymer Composite Membrane, Polymer Engineering and Science, 53, 7 (2013) 1494–1501, DOI: 10.1002/pen.23410. 18)M. Rezakazemi, T. Mohammadi, Gas sorptin through H2-selective mixed matrix membranes: Experimental and neural network modeling, International Journal of Hydrogen Energy, 38, 32 (2013) 14035-14041. DOI: 10.1016/j.ijhydene.2013.08.062. 19)E. Farno, M. Rezakazemi, N. Kasiri, T. Mohammadi, Ternary Gas Permeation through Synthesized PDMS Membranes: Experimental and CFD Simulation Based on Sorption Dependent System Using Neural Network Model, Polymer Engineering and Science, 54, 1 (2014) 215–226. DOI: 10.1002/pen.23555. 20)M. Rezakazemi, A. Ebadi Amooghin, M.M. Montazer-Rahmati, A.F. Ismail, T. Matsuura, State-of-the-art membrane based CO2 separation using mixed matrix membranes: An overview on current status and future directions, Progress in Polymer Science, 39, 5 (2014) 817-861. DOI:10.1016/j.progpolymsci.2014.01.003. This paper was selected twice as one of the top 25 hottest articles. IF = 26.854. 21)M. Rezakazemi, A. Vatani, T. Mohammadi, Synergistic interactions between POSS and fumed silica and their effect on the properties of crosslinked PDMS nanocomposite membranes, RSC Advances, 5, 100 (2015), 82460-82470. DOI: 10.1039/C5RA13609A. 22)B. Baheri, M. Shahverdi, M. Rezakazemi, E. Motaee, T. Mohammadi, Performance of PVA/NaA Mixed Matrix Membrane for Removal of Water from Ethylene Glycol Solutions by Pervaporation, Chemical Engineering Commuication, 202, 3 (2015) 316-321. DOI:10.1080/00986445.2013.841149. 23)	M. Rezakazemi, K. Shahidi, T. Mohammadi, Synthetic PDMS composite membranes for pervaporation dehydration of ethanol, Desalination and Water Treatment 54, 6 (2015) 1542-1549. DOI:10.1080/19443994.2014.887036. 24)M. Rezakazemi, A. Vatani, T. Mohammadi, Synthesis and gas transport properties of crosslinked poly(dimethylsiloxane) nanocomposite membrane using octatrimethylsiloxy POSS nanoparticles, Journal of Natural Gas Science and Engineering, 30 (2016) 10-18. DOI:10.1016/j.jngse.2016.01.033. 25)SMR. Razavi, M. Rezakazemi, AB. Albadarin, S. Shirazian, Simulation of CO2 absorption by solution of ammonium ionic liquid in hollow-fiber contactors, Chemical Engineering and Processing: Process Intensification, 108 (2016) 27–34. DOI: 10.1016/j.cep.2016.07.001. 26)A. Azimi, A. Azari , M. Rezakazemi, Meisam Ansarpour, Removal of heavy metals from industrial wastewaters: a review, ChemBioEng Reviews, 4 (2017) 37-59. DOI: 10.1002/cben.201600010. 27)M. Rezakazemi, I. Heydari, Zh. Zhang, Hybrid systems: combining membrane and absorption technologies leads to more efficient acid gases (CO2 and H2S) removal from natural gas, Journal of CO2 Utilization, 18 (2017) 362-369. DOI: http://dx.doi.org/10.1016/j.jcou.2017.02.006. 28)	M. Rezakazemi, A. Dashti, M. Asghari, S. Shirazian, H2-selective mixed matrix membranes modeling using ANFIS, PSO-ANFIS, GA-ANFIS, International Journal of Hydrogen Energy, 42, 22 (2017) 15211–15225, https://doi.org/10.1016/j.ijhydene.2017.04.044. 29)M. Mesbah, E. Soroush, M. Rezakazemi, Development of a least squares support vector machine model for prediction of natural gas hydrate formation temperature, Chinese Journal of Chemical Engineering 25, 9 (2017) 1238-1248, https://doi.org/10.1016/j.cjche.2016.09.007. 30)A. Muhammad, M. Younas, M. Rezakazemi, Quasi-dynamic modeling of dispersion-free extraction of aroma compounds using hollow fiber membrane contactor, Chemical Engineering Research and Design, 127 (2017) 52-61. DOI: https://doi.org/10.1016/j.cherd.2017.09.007. 31)M. Rezakazemi, S. Mirzaei, M. Asghari, J. Ivakpour, Aluminum Oxide Nanoparticles for Highly Efficient Asphaltene Separation from Crude Oil Using Ceramic Membrane Technology, Oil & Gas Sciences and Technology - Rev. IFP Energies nouvelles, 72, 6 (2017) 34. DOI: https://doi.org/10.2516/ogst/2017031. 32)Zh. Zhang, Sh. Zhao, M. Rezakazemi, F. Chen, P. Luis, B. Van der Bruggen, Effect of flow and module configuration on SO2 absorption by using membrane contactors, Global NEST Journal 19, 4 (2017) 716-725. DOI: https://doi.org/10.30955/gnj.002267. 33)M. Rezakazemi, M. Maghami, T. Mohammadi, High Loaded Synthetic Hazardous Wastewater Treatment Using Lab-Scale Submerged Ceramic Membrane Bioreactor, Periodica Polytechnica Chemical Engineering, 62, 3 (2018) 299-304. DOI: https://doi.org/10.3311/PPch.11459. 34)M. Ahmadlou, M. Rezakazemi, Computational fluid dynamics simulation of moving-bed nanocatalytic cracking process for the lightening of heavy crude oil, Journal of Porous Media 21, 6 (2018) 539-553. DOI: 10.1615/JPorMedia.v21.i6.40. 35)R. Foroutan, H. Esmaeili, M. Abbasi, M. Rezakazemi, M. Mesbah, Adsorption behavior of Cu (II) and Co (II) using chemically modified marine algae, Environmental Technology, 39, 21 (2018) 2792-2800. DOI: 10.1080/09593330.2017.1365946. 36)Zh. Zhang, F. Chen, M. Rezakazemi, W. Zhang, C. Lu, H. Chang, X. Quan, Modeling of a CO2-Piperazine-Membrane Absorption System, Chemical Engineering Research and Design, 131 (2018) 375-384. DOI: https://doi.org/10.1016/j.cherd.2017.11.024. 37)A. Dashti, H. Riasat Harami, M. Rezakazemi, Accurate prediction of solubility of gases within H2-selective nanocomposite membranes using committee machine intelligent system, International Journal of Hydrogen Energy, 43, 13 (2018) 6614–6624. DOI: https://doi.org/10.1016/j.ijhydene.2018.02.046. 38)E. Soroush, Sh. Shahsavari, M. Mesbah, M. Rezakazemi, Zh. Zhang, A Robust Predictive Tool for Estimating CO2 Solubility in Potassium Based Amino Acid Salt Solutions, Chinese Journal of Chemical Engineering, 26, 4 (2018) 740-746. DOI: https://doi.org/10.1016/j.cjche.2017.10.002. 39)A. Dashti, M. Asghari, H. Soleymani, M. Rezakazemi, A. Akbari, Modeling of CaCl2 removal by positively charged polysulfone-based nanofiltration membrane using artificial neural network and genetic programming, Desalination and Water Treatment, 111 (2018) 57-67. DOI: https://doi.org/10.5004/dwt.2018.22079. 40)A. Muhammad, M. Younas, M. Rezakazemi, CFD Simulation of Copper(II) Extraction with TFA in Non-Dispersive Hollow Fiber Membrane Contactors, Environmental Science and Pollution Research, 25, 12 (2018) 12053–12063. DOI: https://doi.org/10.1007/s11356-018-1282-1. 41)M. Rezakazemi, M. Sadrzadeh, T. Matsuura, Thermally stable polymers for advanced high-performance gas separation membranes, Progress in Energy and Combusion Science, 66 (2018) 1-41. DOI: https://doi.org/10.1016/j.pecs.2017.11.002. IF = 25.242. This paper was selected as one of the Top Social Media Articles. 42)M. Mesbah, Sh. Shahsavari, E. Soroush, N. Rahaei, M. Rezakazemi, Accurate prediction of miscibility of CO2 and supercritical CO2 in ionic liquids using machine learning, Journal of CO2 Utilization, 25 (2018) 99-107. DOI: https://doi.org/10.1016/j.jcou.2018.03.004. 43)M. Asadollahzadeh, N. Raoufi, M. Rezakazemi, S. Shirazian, Simulation of nonporous polymeric membranes using CFD for bioethanol purification, Macromolecular Theory and Simulations, 27, 3 (2018) 1700084. DOI: 10.1002/mats.201700084. 44)A. Roudbari, M. Rezakazemi, Hormones Removal from Municipal Wastewater Using Ultrasound, AMB Express, 8, 1 (2018) 91, DOI: 10.1186/s13568-018-0621-4. 45)M. Rezakazemi, A. Khajeh, M. Mesbah, Membrane filtration of wastewater from gas and oil production, Environmental Chemistry Letters, 16, 2 (2018) 367–388. DOI: https://doi.org/10.1007/s10311-017-0693-4. 46)M. Rezakazemi, A. Marjani, S. Shirazian, Organic solvent removal by pervaporation membrane technology: Experimental and Simulation, Environmental Science and Pollution Research, 25, 20 (2018) 19818–19825. DOI: https://doi.org/10.1007/s11356-018-2155-3. 47)M. Rezakazemi, S. Shirazian, Separation performance of nanostructured ceramic membranes: analytical model development, Journal of Non-Equilibrium Thermodynamics, 43, 3 (2018) 245-253. DOI: https://doi.org/10.1515/jnet-2018-0013. 48)M. Rezakazemi, M. Maghami, T. Mohammadi, Wastewaters Treatment Containing Phenol and Ammonium Using Aerobic Submerged Membrane Bioreactor, Chemistry Central Journal, 12, 1 (2018) 79. DOI: 10.1186/s13065-018-0450-1. 49)N. Hajilary, A. Shahi, M. Rezakazemi, Evaluation of socio-economic factors on CO2 emissions in Iran: factorial design and multivariable methods, Journal of Cleaner Production, 189 (2018) 108-115. DOI: https://doi.org/10.1016/j.jclepro.2018.04.067. 50)A. Sadeghi, H. Nazem, M. Rezakazemi, S. Shirazian, Predictive construction of phase diagram of ternary solutions containing polymer/solvent/nonsolvent using modified Flory-Huggins model, Journal of Molecular Liquids, 263 (2018) 282-287. DOI: https://doi.org/10.1016/j.molliq.2018.05.015. 51)M. Rezakazemi, A. Dashti, H. Riasat Harami, H. Hajilarli, Inamuddin, Fouling-resistant membranes for water reuse, Environmental Chemistry Letters, 16, 3, (2018) 715-763. DOI: https://doi.org/10.1007/s10311-018-0717-8. 52)A. Dashti, M.Asghari, M. Dehghani, M. Rezakazemi, AH. Mohammadi, S. Bhatia, Molecular Dynamics, Grand Canonical Monte Carlo and Expert Simulations and Modeling of Water–Acetic Acid Pervaporation Using Polyvinyl Alcohol/Tetraethyl Orthosilicates Membrane, Journal of Molecular Liquids, 265 (2018) 53-68. DOI: https://doi.org/10.1016/j.molliq.2018.05.078. 53)M. Rezakazemi, A. Azarafza, A. Dashti, S. Shirazian, Development of hybrid models for prediction of gas permeation through FS/POSS/PDMS nanocomposite membranes, International Journal of Hydrogen Energy, 43, 6, (2018) 17283-17294. DOI: https://doi.org/10.1016/j.ijhydene.2018.07.124. 54)M. Rezakazemi, CFD Simulation of Seawater Purification Using Direct Contact Membrane Desalination (DCMD) System, Desalination, 443 (2018) 323-332 . DOI: https://doi.org/10.1016/j.desal.2017.12.048. 55)N. Hajilary, M. Rezakazemi, CFD modeling of CO2 capture by water-based nanofluids using hollow fiber membrane contactor, International Journal of Greenhouse Gas Control, 77 (2018) 88-95. DOI: https://doi.org/10.1016/j.ijggc.2018.08.002. 56)N. Hajilary, M. Rezakazemi, Ethylene Glycol Elimination in Amine Loop for More Efficient Gas Conditioning, Chemistry Central Journal 12 (2018) 120. DOI: 10.1186/s13065-018-0493-3. 57)M. Rezakazemi, AB. Albadarin, GM. Walker, S. Shirazian, Quantum chemical calculations and molecular modeling for methylene blue removal from water by a lignin-chitosan blend, International Journal of Biological Macromolecules, 120 (2018) 2065-2075. DOI: https://doi.org/10.1016/j.ijbiomac.2018.09.027. 58)M. Rezakazemi, M. Darabi, E. Soroush, M. Mesbah, CO2 absorption enhancement by water-based nanofluids of CNT and SiO2 using hollow-fiber membrane contactor, Separation and Purification Technology, 210 (2019) 920-926. DOI: https://doi.org/10.1016/j.seppur.2018.09.005. 59)M. Rezakazemi, S. Shirazian, Computational simulation of mass transfer in molecular separation using microporous polymeric membranes, Chemical Engineering and Technology 41, 10 (2018) 1975-1981. DOI: https://doi.org/10.1002/ceat.201800082. 60)M. Rezakazemi, S. Shirazian, Development of a 3D hybrid intelligent-mechanistic model for simulation of multiphase chemical reactors, Chemical Engineering and Technology 41, 10 (2018) 1982-1993. DOI: https://doi.org/10.1002/ceat.201800159. 61)M. Rezakazemi, S. Shirazian, Gas permeation prediction through polymeric membranes using compressible regular solution theory, International Journal of Hydrogen Energy, 43, 49, (2018) 22357-22364. DOI: https://doi.org/10.1016/j.ijhydene.2018.10.087. 62)M. Rezakazemi, A. Hemmati, S. Shirazian, Cellulose acetate polymeric membrane fabrication by nonsolvent induced phase separation process: determination of velocities of individual components, Journal of Non-Equilibrium Thermodynamics, 44, 1, (2019) 71-80. DOI: https://doi.org/10.1515/jnet-2018-0042. 63)M. Rezakazemi, S. Shirazian, Gas-Liquid phase recirculation in bubble column reactors: Development of a hybrid model based on local CFD-Adaptive Network-based Fuzzy Inference System (ANFIS), Journal of Non-Equilibrium Thermodynamics 44, 1 (2019) 29-42. DOI: https://doi.org/10.1515/jnet-2018-0028. 64)M. Mesbah, E. Soroush, M. Rezakazemi, Modeling Dissociation Pressure of Semi-Clathrate Hydrate Systems Containing CO2, CH4, N2, and H2S in Presence of tetra-n-butyl ammonium bromide, Journal of Non-Equilibrium Thermodynamics (2019). DOI: https://doi.org/10.1515/jnet-2018-0015. 65)A. Dashti, H. Riasat Harami, M. Rezakazemi, S. Shirazian, Estimating CH4 and CO2 solubilities in ionic liquids using computational intelligence approaches, Journal of Molecular Liquids, 271 (2018) 661-669. DOI: https://doi.org/10.1016/j.molliq.2018.08.150. 66)M. Rezakazemi, TA. Kurniawan, AB. Albadarin, S. Shirazian, Molecular modeling investigation on mechanism of phenol removal from aqueous media by single- and multi-walled carbon nanotubes, Journal of Molecular Liquids, 271 (2018) 24-30. DOI: https://doi.org/10.1016/j.molliq.2018.08.132. 67)M. Rezakazemi, A. Mosavi, S. Shirazian, ANFIS pattern for molecular membranes separation optimization, Journal of Molecular Liquids, 274 (2019) 470-476. DOI: https://doi.org/10.1016/j.molliq.2018.11.017. 68)E. Norouzi, M. Amidpour, M. Rezakazemi, Heat recovery steam generator: Constructal thermoeconomic optimization, Applied Thermal Engineering, 148 (2019) 747-753. DOI: https://doi.org/10.1016/j.applthermaleng.2018.11.094. 69)M. Rezakazemi, N. Rahmanian, H. Jamil, S. Shirazian, Process Simulation and Evaluation of Ethane Recovery Process using Aspen-HYSYS, Chemical Engineering Transaction 70 (2018) 961-966. DOI: 10.3303/CET1870141. 70)G. Sodeifian, M. Raji, M. Asghari, M. Rezakazemi, A. Dashti, Polyurethane-SAPO-34 mixed matrix membrane for CO2/CH4 and CO2/N2 separation, Chinese Journal of Chemical Engineering, 27, 2, (2019) 322-334. DOI: https://doi.org/10.1016/j.cjche.2018.03.012. 71)M. Babanezhad, M. Rezakazemi, N. Hajilary, S. Shirazian, Liquid-phase chemical reactors: Development of 3D hybrid model based on CFD-Adaptive Network-based Fuzzy Inference System, The Canadian Journal of Chemical Engineering, (2018). 73)N. Hajilary, M. Rezakazemi, S. Shirazian, Biofuel types and membrane separation, Environmental Chemistry Letters, (2018), DOI: 10.1007/s10311-018-0777-9. 74)N. Azizi, M. Rezakazemi, M. M. Zarei, An intelligent approach to predict gas compressibility factor using neural network model, Neural Computing and Applications, 31, 1 (2019) 55-64. DOI: 10.1007/s00521-017-2979-7. 75)M. Rezakazemi, S. Shirazian, Lignin-chitosan blend for methylene blue removal: adsorption modeling, Journal of Molecular Liquids, 274 (2019) 778-791. DOI: https://doi.org/10.1016/j.molliq.2018.11.043. 76)M. Habibi Zare, N. Hajilary, M. Rezakazemi, Microstructural modifications of polyethylene glycol powder binder in the processing of sintered alpha alumina under different conditions of preparation, Materials Science for Energy Technologies, 2 (2019) 89-95. DOI: https://doi.org/10.1016/j.mset.2018.11.003. 77)M. Ayaz, A. Muhammad, M. Younas, A. Laeeq Khan, M. Rezakazemi, Enhanced water flux by fabrication of polysulfone/alumina nanocomposite membrane for copper ions removal, Macromolecular Research, (2019). 78)M. Rezakazemi, S. Shirazian, Multiscale computational modeling of organic compounds separation using microporous membranes, 142 (2019) 136-139, Desalination and Water Treatment. DOI: doi: 10.5004/dwt.2019.23502. 79)E. Soroush, M. Mesbah, N. Hajilary, M. Rezakazemi, ANFIS Modeling for Prediction of CO2 Solubility in Potassium and Sodium Based Amino Acid Salt Solutions, Journal of Environmental Chemical Engineering, 7, 1 (2019) 102925. DOI: https://doi.org/10.1016/j.jece.2019.102925. 80)H. Riasat Harami, F. Riazi Fini, M. Rezakazemi, S. Shirazian, Sorption in Mixed Matrix Membranes: Experimental and Molecular Dynamic Simulation and Grand Canonical Monte Carlo Method, Journal of Molecular Liquid, 282 (2019) 566-576. DOI: https://doi.org/10.1016/j.molliq.2019.03.047. 81)M. Jafarizaveh, A. Khaleghi, M. Rezakazemi, Development of CFD Model for Membrane-Based Energy Recovery Ventilators, Chemical Engineering Research and Design (2019) DOI:. 82)S. Zabihi, M. Rezakazemi, S.H. Gholizadeh Moghaddam, S. Shirazian, Development of hybrid ANFIS-CFD model for design and optimization of membrane separation of benzoic acid, Journal of Non-Equilibrium Thermodynamics, (2019). 83)A. Marjani, M. Rezakazemi, S. Shirazian, Simulation of Methanol Production Process and Determination of Optimum Conditions, Oriental Journal of Chemistry, 28 (2012) 145-151. 84)A. Marjani, M. Rezakazemi, S. Shirazian, Vapor Pressure Prediction Using Group Contribution Method, Oriental Journal of Chemistry, 27 (2011) 1-5. 1)M. Rezakazemi, A. Dashti, N. Hajilary, S. Shirazian, Organic/Silica Nanocomposite Membranes Applicable to Green Chemistry, in: Sustainable Polymer Composites and Nanocomposites, Springer International Publishing, Cham, 2019, pp. 629-652. DOI: https://doi.org/10.1007/978-3-030-05399-4_22. 2)R. Mobin, T.A. Rangreez, H.T.N. 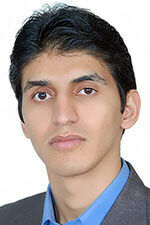 Chisti, Inamuddin, M. Rezakazemi, Organic-Inorganic Hybrid Materials and Their Applications, in: M.A. Jafar Mazumder, H. Sheardown, A. Al-Ahmed (Eds.) Functional Polymers, Springer International Publishing, Cham, 2018, pp. 1-22. DOI: https://doi.org/10.1007/978-3-319-92067-2_33-1. 3)M. Rezakazemi, Zh. Zhang, “2.29 Desulfurization Materials” in “Comprehensive Energy Systems”, Chapter 2.29, Edited by I. Dincer, Oxford: Elsevier, Volume 2, 2018, 944-979. DOI: https://doi.org/10.1016/B978-0-12-809597-3.00263-7. 4)M. Rezakazemi, M. Sadrzadeh, T. Mohammadi, T. Matsuura, “Methods for the Preparation of Organic–Inorganic Nanocomposite Polymer Electrolyte Membranes for Fuel Cells”, in “Organic-Inorganic Composite Polymer Electrolyte Membranes” Chapter 11, p.p. 311-325., ISBN: 978-3-319-52739-0, Edited by Inamuddin, A. Mohammad, A. M. Asiri, Springer, UK, 2017. DOI: 10.1007/978-3-319-52739-0_11. 5)M. Rezakazemi, M. Sadrzadeh, T. Mohammadi, “Separation via pervaporation techniques through polymer membranes” in “Transport Properties of Polymeric Membranes”, Volume 1, Chapter 13, p.p. 243-263., ISBN: 978-0-12-809884-4, Edited by S. Thomas, R. Wilson, A. Kumar S., S. C. Geroge, Elsevier, 2018. 6)M. Sadrzadeh, M. Rezakazemi, T. Mohammadi, “Fundamentals and measurement techniques for gas transport in polymers” in “Transport Properties of Polymeric Membranes”, Volume 2, Chapter 19, p.p. 391-423., ISBN: 978-0-12-809884-4, Edited by S. Thomas, R. Wilson, A. Kumar S., S. C. Geroge, Elsevier, 2018.